CHANGING WHAT WIKIPEDIA THINKS ABOUT HOMEOPATHY . Homeopathy or homoeopathy is a system of medicine created in 1796 by Samuel Hahnemann, based on his doctrine of like cures like (similia similibus curentur) The word “homeopathy” is derived from two Greek words: homoios which means “similar” and pathos which means “suffering.” Homeopathy's basic premise is called the “principle of similars,” and it refers to recurrent observation and experience that a medicinal substance will elicit a healing response for the specific syndrome of symptoms (or suffering) that it has been proven to cause when given in overdose to a healthy person. 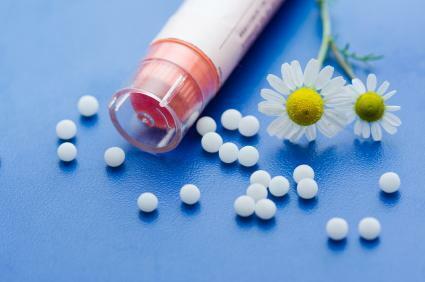 While it can scarcely compare in antiquity with Chinese or Indian medicine, homeopathy is the longest established CAM to have arisen in Europe. It was founded by Samuel Hahnemann (1755-1843), who grew up in Meissen in Germany, received his medical degree in Erlangen in 1779, and died a millionaire in Paris in 1843. Homeopathic medicine has its own sophisticated system of using substances from the plant, mineral, chemical, and animal kingdoms. This article will describe--in a modern and even futuristic fashion--this fascinating and powerful method of strengthening the body's own defense system. It is important to note that immunizations and allergy treatments are two of the very few applications in modern medicine today that actually stimulate the body's own defenses in the prevention or treatment of specific diseases, and it is NOT simply a coincidence that both of these treatments are derived from the homeopathic principle of similar. But instead of this Homeopathy according to Wikipedia is a Quack or a synonym for Placebo. I want them to edit the topic to what actually homeopathy is- A recognized system of medicine. I AM STRONGLY AGAINST WHAT WIKIPEDIA SAYS IN THIS MATTER ! ITS SERIOUSLY RIDICULOUS.